Who are Engweld & what do they do? Developing their new & up to date e-commerce. 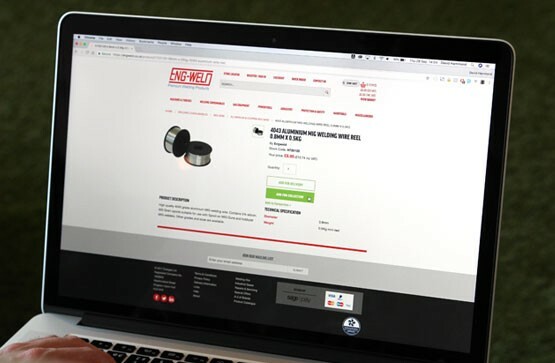 Our brief was to totally re-design an ageing Engweld website and develop the e-commerce functionality to fully integrate with the company’s sales order processing system. We engaged with the senior Engweld team in a series of inter-departmental meetings in order to develop a complete understanding of the requirements of each part of the business. This resulted in a fresh, modern integrated website that all stakeholders were completely happy with. Since the launch of the new site the client has reported "dramatically increased web traffic and sales". "The Eon team have been fundamental to the development and ever evolving Engweld ecommerce website, helping us to grow traffic, conversions and sales through this platform. Nathan, Mike & Vlad have been the key web developers we’ve worked over the last 2-3 years with and they’ve been more of an extension of our digital marketing team, giving regular input and guidance to help improve and develop our Engweld website further."